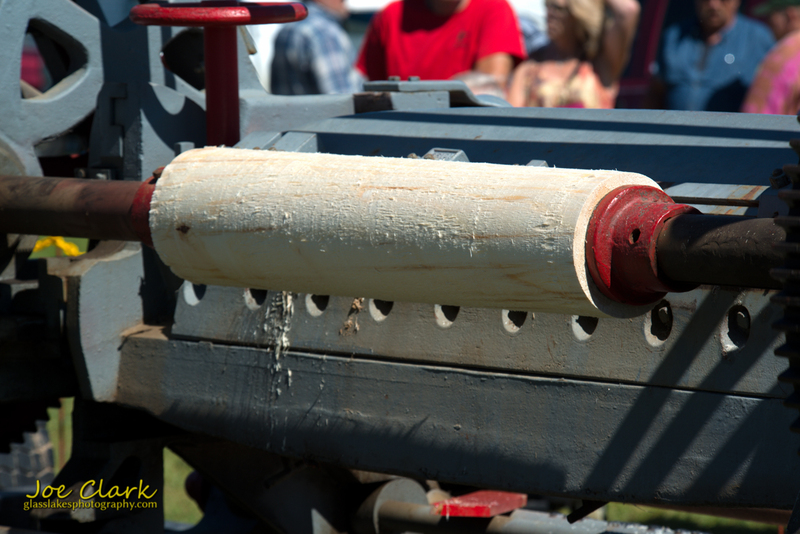 An olde time veneer mill operates as a tractor powered display at the Octagon Barn Festival in Gagetown, Mi. The machine would take a section of tree and strip it into thin sheets as it rotated. This particular mill was powered by a gasoline engine, unlike the steam engine which was posted yesterday. The public was welcome to take home veneer, although many do not know what to make from it. Typically plywood is produced from layering the material in opposing directions. If you are interested in purchasing any images please contact us.